Morocco-Spain route emerged as the prime destination for Sub-Saharan migrant mostly fleeing poverty in Africa. The North African country has so far averted 54,000 crossing attempts as trafficking gangs make enormous gains. Government spokesman, Mustapha El Khalfi, said the country can no longer let its territory shelter human trafficking networks and refuses to play the role of gendarme of the region. Authorities say Morocco prevented 65,000 migrants from crossing to Spain in 2017. Khalfi said Moroccans represent only 13% of the intercepted migrants while the majority come from West African states. Last year, 20% were Moroccans. The closure of the Balkan route and the crackdown on migrants in Libya has pushed many to consider the safer Morocco route. 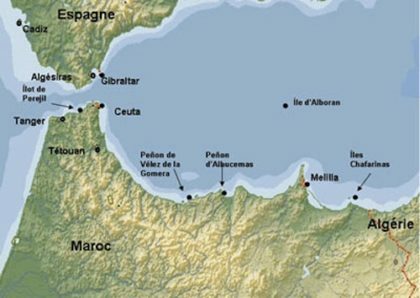 The North African country has started bussing migrants to the south in a bid to avert the violent migrant crossing on the borders with Ceuta and Mellila, two enclaves occupied by Spain. Meanwhile, a sterile debate is underway in Europe amid fears of a greater influx ignited by far-right groups. The EU where xenophobia is on the rise is shunning the idea of a shared management of migration, sticking to the externalization of migration through the setting up of regional embarkation platforms in the southern Mediterranean countries. All North African states reject this proposal. Migration in Europe has been reduced sharply but the media still speak of a migration crisis. Arrivals in Greece and Italy have dropped sharply. Only in Spain numbers rose to 39,000 crossings so far this year. Most of the migrants departed from Morocco, which struggles in silence offering more than 50,000 residency status to immigrants, guaranteeing them access to job market and social services. It is the paradox of Europe’s migration crisis: The actual number of arriving migrants is back to its pre-2015 level, even as the politics of migration continue to shake the Continent. Yet, many leaders, particularly in far-right parties, continue to successfully create the impression that Europe is a continent under siege from migrants, even as the numbers paint a very different picture. Migration has indeed become a winning card for far-right groups lacking convincing programs. Italy wants now to scrap the Dublin Regulations, which stipulate that asylum seekers must stay in the European Union country in which they first register, and distribute migrants throughout the bloc. But hard-liners like Hungary’s President Orban, President Sebastian Kurz of Austria refuse to share Italy’s and Greece’s burden. The EU has yet to establish the principle of burden sharing in managing migration before asking third countries to host platforms to assess asylum requests. Morocco is already setting the example in Africa calling for addressing the root causes that push people to leave their houses in quest of the risky crossing of the Mediterranean. The country is the only in Africa to have launched a migration policy that views migrants as an opportunity and not as a threat. “Addressing the challenge of migration requires an innovative approach that allows for assessing causes, impact and identifying solutions, particularly by building synergies between development and migration policies. We must work together to develop an African agenda on the topic that would articulate a common vision of ways and means of dealing with the question of migration within our continent and in international forums,” King Mohammed VI of Morocco argues. A recent UNCTAD report has espoused the values of Morocco’s migration policy dispelling a set of myths surrounding it. The report maintained that labor mobility within Africa is beneficial for both receiving and emitting countries.